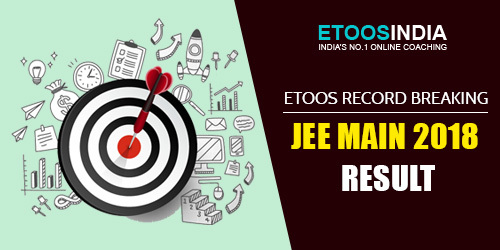 JEE Main 2018 result was out last month and it was a proud moment for the team at Etoosindia. After all, the hard work and dedication of the faculty members and the management at the institute paid off. As many as 4578 students enrolled for JEE preparation at Etoosindia qualified in the JEE Main 2018 exam. The anxiety among the students rises as the result day approaches. At Etoosindia, the faculty members were equally anxious and eager to know the result. The job of our faculties doesn’t end as they deliver the video lectures. They are there to support and guide the students at every step. They engage in solving the JEE question paper on the day the exam is conducted to provide answer keys to students to help them evaluate their performance. They also await the JEE result eagerly to know how their students have performed. Like every year, Etoosindia’s result was overwhelming. The institute boasts of 46% success rate this time around. Three of our students made it to the top 1000 list of rank holders. Among these was Dev Bisht who got 269 All India Rank, Rishabh Raj who got 475 All India Rank and Astitva who got 854 All India Rank. It has been observed that the candidates who went through the video lectures repeatedly performed better in JEE. The video lectures are not meant to be viewed just once. 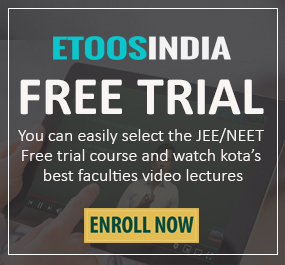 Unlike the lectures taken in the conventional offline classes, the video lectures available at Etoosindia can be viewed over and over again and the more you view them the better you are able to memorise the topics. It has also been seen that the students who took mock tests frequently were able to perform much better compared to others. Mock tests test your knowledge in real time. They help you understand the topics you are weak in so you can brush them up well in time. These tests also help enhance speed and accuracy. 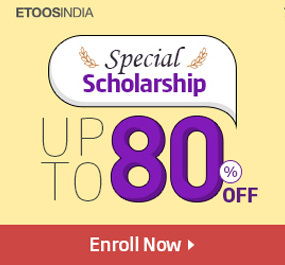 Etoosindia also provides study material which is all-inclusive. The students who managed to clear JEE Main 2018 shared that besides taking Etoosindia’s video lectures and testing their knowledge via mock tests, they also opted for the study material available here. Etoosindia continually thrives to come up with new and innovative strategies to prepare students for JEE and improve their score. It has been successful in doing so over the last few years.